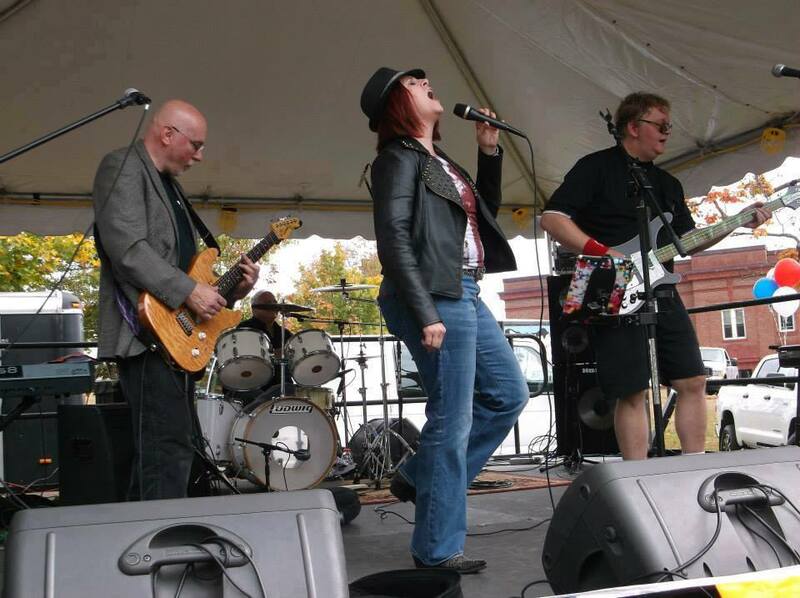 Founded in July 2012, Blue Cat Groove is a four piece, blues band hailing from central Massachusetts. Its members include Samuel Bowen (guitar/vocals), Vincent DePolo (drums), Kimberly Hodgens-Smith (lead vocals), and Jeff Oosterman (bass). They released their debut album in 2013 and are currently gearing up for the release of their second studio album in February 2015. They were nominated for “Breakthrough Artist of the Year” and “Album of the Year” at the 6th Annual Limelight Magazine Music Awards in 2013. We recently caught up with Bowen who was excited about their forthcoming album and what the future holds for the band. Limelight Magazine (LM): You’re about to release your second studio album in February. What can we expect from the disc? Sam Bowen (SB): After being together for two years now a much tighter groove. We’ve really jelled regarding arrangements and feel. And, although we stick to our blues roots, we have a few songs that could be called alternative rock or Americana. LM: How was recording this album different from your debut CD? SB: No keyboard for one thing. As much as we love keys, we’ve worked hard on our style and tone to get all we can out of three musicians and Kimberly’s vocals. Also, we did few overdubs on this record. We are a live band and recorded most of the music live in the studio…together, so what you hear is who we are. LM: Of the nine-songs on the album, there is a mix of original songs, covers and blues classics. How did the band decide what songs to record and include on the album? SB: Some of the songs are fan favorites like “Stormy Monday” and “Power of Love.” The originals are our sound and all the covers we do are based on songs we hear and say “what a great song, we can Blue Cat Groove that one.” Our process is having every member pick songs they feel fit us. Then, we listen together and play with it to see if it works. We realize that we love some songs that are not going to work in our style. We’ve also been surprised how a song we believed would not work for us wound up part of us. LM: One of the of the songs is cover of Joan Osboune’s hit single “One Of Us.” That kind of took us by surprise. Why was that song chosen? SB: Yes, it took us by surprise too. I use to sing this song solo. Last summer, I did a solo gig and pulled it out. With the groove on guitar, I thought it fit us. So, we started playing with it and it sounded great. Kimberly took the lyrics and made the song her own. Although people will immediately recognize the song, it’s a little different arrangement (and I love the telecaster sound on it). Actually, this is the most produced song on the CD, as it has three guitar parts overdubbed. We really love the layering of the whole song. What’s funny is we have some interest from alt radio on this one, which we probably would not have gotten being a blues rock band. LM: How will you be promoting the new disc? SB: Our promotion is all about one fan at a time. Our Facebook and social media have grown our fan base this past year. Our fans are loyal and interact with us all the time. We have internet radio and underground blues stations playing our stuff around the country so the CD will get to all those people. It is amazing to live in a time when a regional band like us can sell lots of tunes to people through iTunes, CD Baby, Amazon and so forth. We‘ve sold lots of music to people in France, England, Ireland, Pakistan, Australia, Greece, Asia and all over the USA. And, of course, playing live as much as are able to get the word out. We are a grassroots band and rely on word of mouth. We had a great 2014 and appreciate all our fans that have turned folks on to us. We played gigs all over, like the Bull Run, Blue Plate Lounge, Rockport Music Festival in the Park, Blues and Barbecue Festival, Water for Life Music and Car Show, Octoberfest concerts, church concerts, radio station and small club venues. LM: You’re listed as the primary songwriter for the band. What’s your own personal songwriting process? SB: Process? What’s that? (LOL). I tend to start with a chord structure on guitar, a melody that has a “Groove.” Then after Jeff, Vinnie and Kimberly hear it, the arranging begins. Lyrics come at differing times. One new song on the CD is called “Small Things.” It was inspired by an acoustic guitar run I had been playing with my strings tuned in the key of D. Then I saw an old movie called “Night of the Hunter” with Robert Mitchum. One of the main characters was praying for children in her care and she said “It’s a hard world for Small Things.” That just hit me and I wrote the lyrics in 20 minutes and it matched the guitar run perfectly. LM: Since the band has only been around for a short period of time, how did everyone initially come together? SB: Our time keeper Vinnie (Cleveland) Depolo and bass player Jeff (The Doctor) Oosterman had played on a couple of my solo CD’s previously to Blue Cat Groove. As we talked about playing live as full band, I was back to my blues roots. I put on my producers hat and knew we needed a vocalist whose voice was a big as the music. Kimberly Hodgens-Smith was a fan of my music and I first met her when she came out to see me and Michael Sweet [of Stryper] do a show. Awhile later, I heard her sing back up in a band and knew she had chops. It would be in 2013 that I would call her and ask if she was interested in singing in a blues band. The rest is history. We all sing back up and I sing a song or two, but Kimberly is the voice of Blue Cat Groove. LM: Why was the name Blue Cat Groove chosen? SB: Well, we were tossing around names and the word “cat” is used a lot in the blues and jazz vocabulary. And for us the word that described a lot of our music was “groove”. I don’t remember who specifically called it out, but after brainstorming and laughing at all the bad names someone said “Blue Cat Groove.” It wasn’t long after one of our fans designed our mascot blues cat “Luther.” You can see him and his paws all over our website (www.bluecatgroove) and on our Facebook page. He’s the cat with the sunglasses. LM: What’s the best part for you personally about being in this band? SB: I have to say besides the thrill of creating music, it’s playing live and talking to people who love music. And these Cats I play with have become like family to me. It’s an honor to know them. When we get together to play, it’s like the best therapy there is (I’m not saying we need therapy, well maybe we do). LM: If there is anyone interested in purchasing the band’s music, how can they do so? SB: Our debut CD, and the two new singles from our soon to be released CD, are available on CD Baby, iTunes, Amazon, Rhapsody, Xbox, and all other online music retailers. The new CD will be available through these channels and at live gigs of course. LM: Is there anything you’d like to add? SB: We are so thankful to Limelight and all you do to support local music. You not only bring in fantastic national artists, you expose great New England music that deserves to be heard. You have also created an environment where musicians and fans can connect with each other. Really, thanks so much to you and Katie and the entire staff.